Well it was a beautiful day on Plum Island today. There were a lot of birds diving for bait fish when I was walking the beach this afternoon. Was also paddleboarding early afternoon in the basin and headed out to joppa and also saw birds diving. Have had a few fishermen in tonight to get bait and head out onto the refuge before the gates closed. Our e-mailer from the other day, Peter, is also back to try his luck on the front beach. I guess a lot of action has been going on down the southern part of the island. Have heard from a few of the guys that they are doing well. 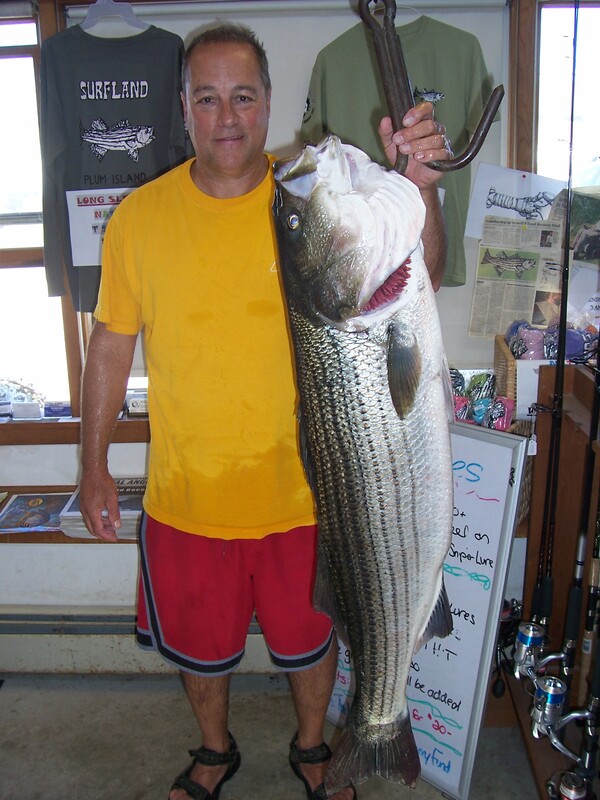 Mark Andrews from Winchester, MA came in with this fish (below) that he caught on clams from the oceanfront during the incoming tide this morning. It weighed in at 34 lbs.